Chandler’s sense of humour, Monica’s obsession with cleanliness, silly-but-adorable Joey, strange-but-irresistible Phoebe, mismatched-but-perfect Ross-and-Rachel; how I miss them all and wish they would start the series again. F.R.I.E.N.D.S. is one series that I can watch anytime it airs, and every time I do, it can make me smile. 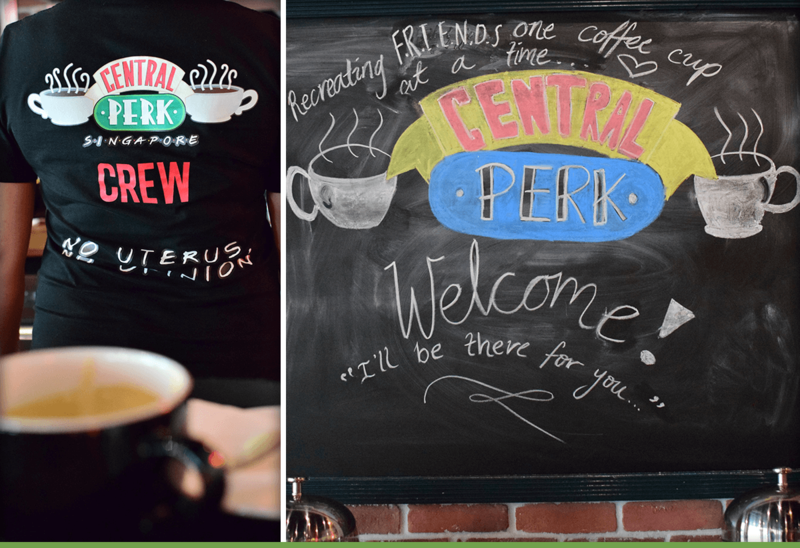 So it’s only natural that when I hear about Central Perk SG, the new F.R.I.E.N.D.S.-themed café in Singapore, I get super excited and curious about it. Although the cafe is not Halal-certified, this one gave me enough reasons other than food to make it worth paying a visit! 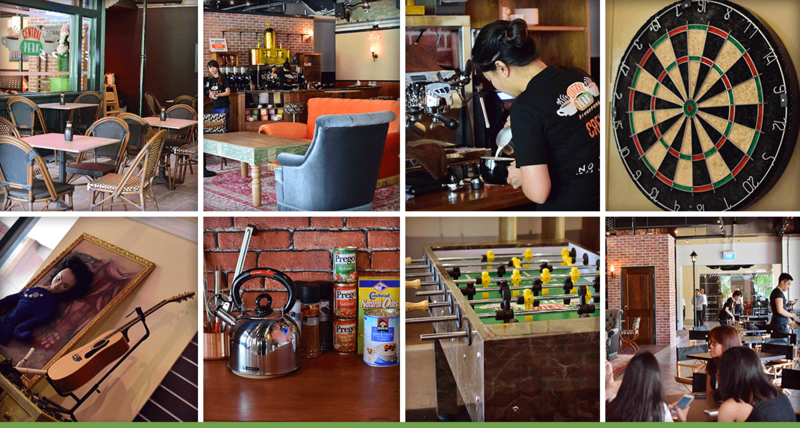 So, on a sunny afternoon, I walk into Central Perk Singapore located at Magazine Road, to meet its 28-year-old owner, Jit Min. Jit Min, a huge F.R.I.E.N.D.S. fan, gave up his job to follow his dream with his friends. Jit Min, a huge fan of F.R.I.E.N.D.S., has always wanted to do something like this but was never sure if there was enough demand for a themed café in Singapore. 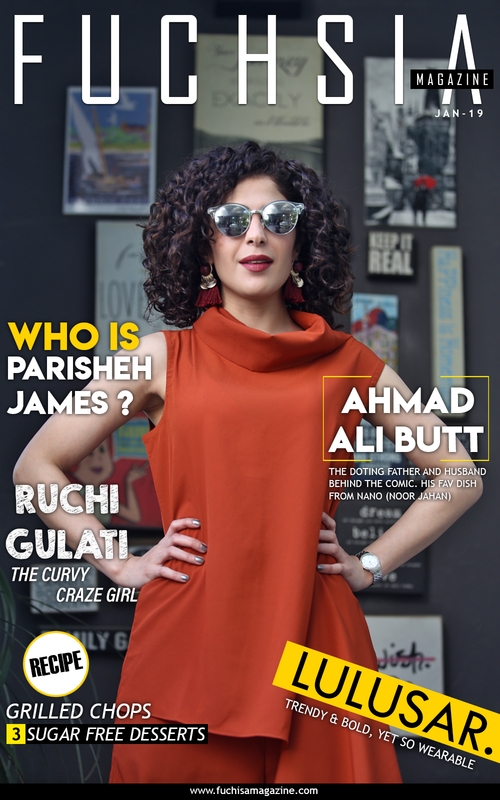 It all happened by chance – he casually shared his dream with a client he was interviewing at his old head-hunting firm, when that same client presented Jit Min with the proposition to actually do it. Taking a huge leap of faith, Jit Min quit his job and, with the help of friends, made a small video to gauge public response to the idea. What followed is truly unbelievable. The video went viral, getting thousands of views and, within 3 days, Jit Min had interested investors. It didn’t take long before Warner Brothers got to hear about his project, and contacted him. 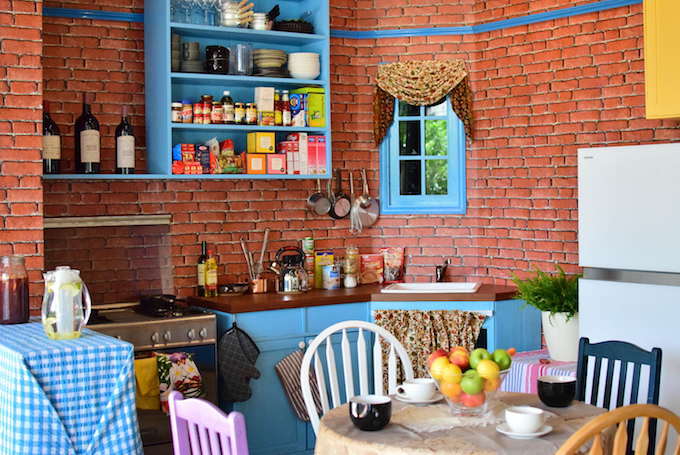 This resulted in the second-of-its-kind F.R.I.E.N.D.S-themed café in the world, and the first officially-licensed one outside USA. Jit Min started in June 2016 and, within 6 months, he had the cafe up and running. Welcome to Central Perk. It’ll be there for you! So, the question is … was this café what I had in mind? As I opened the door and walked in, it was like walking onto the sets of the F.R.I.E.N.D.S. Central Perk Café! The first impression made by the openness and vastness of this 100-seater café is that it is welcoming. You take 2 steps in and see many familiar things – the sofa, the singing area with guitar where Phoebe sang and, most importantly, that green Central Perk signboard. The entrance has been designed to give the feeling of a street in New York. 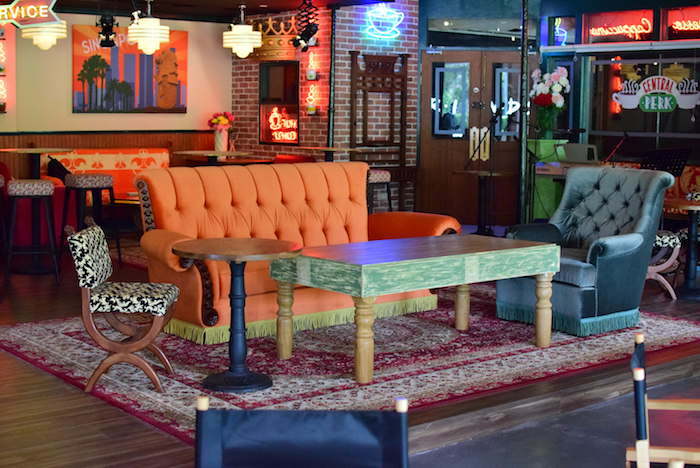 The main focus, the sofas where F.R.I.E.N.D.S used to sit, is easily visible in the middle of the cafe. The area in front of the sofas has black chairs and tables, depicting the audience’s seats, making it feel like you are looking at the sets. Unlike most media conferences, the media and bloggers were working in individual groups, taking pictures of whatever they liked. 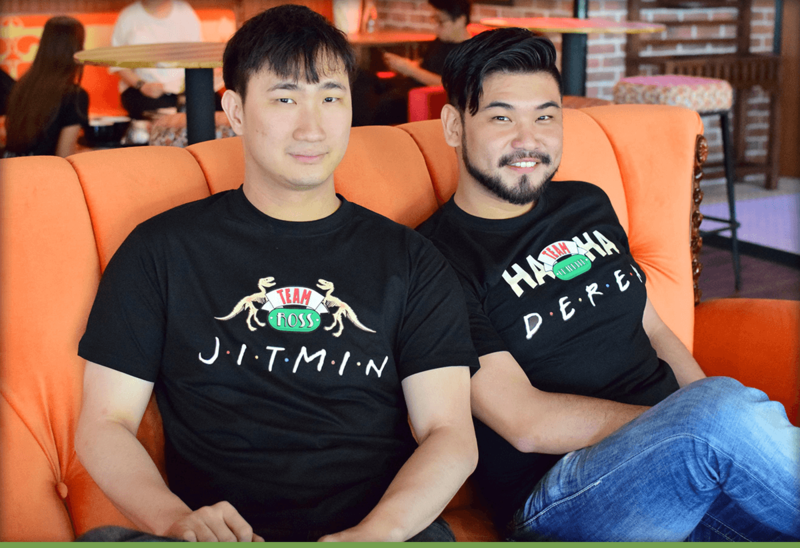 Jit Min and his managing partner, Derek, were going to each group individually to patiently introduce the concept to them, and answer their questions. 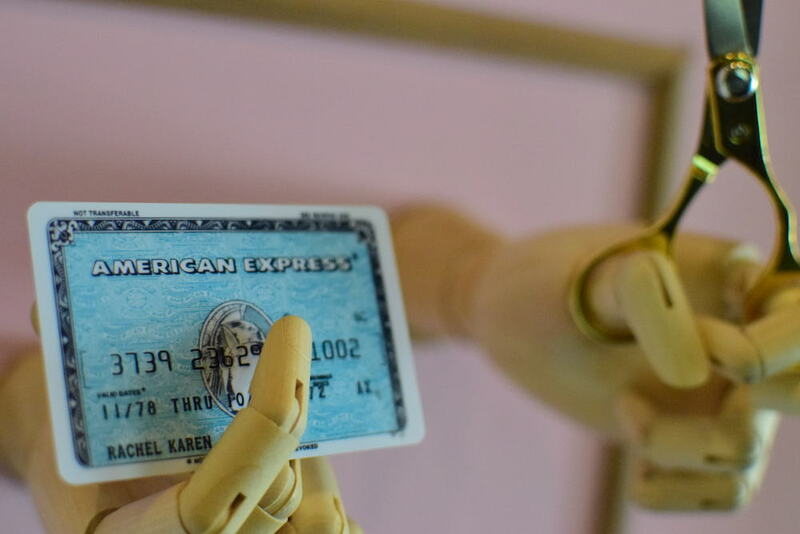 This personal interest and attention to detail reflects in the entire ambience of the cafe. There is a feature wall dedicated to each character, highlighting the little things associated with them. 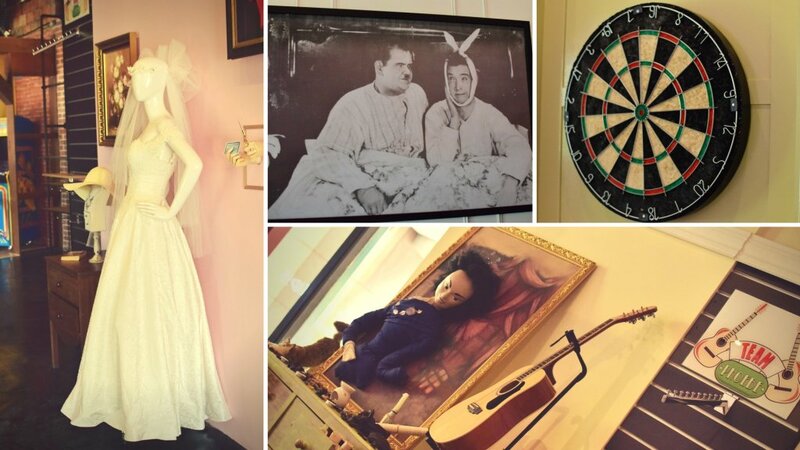 Rachel’s wall hosts the wedding dress, recreated especially for the café; there are dinosaurs on Ross’ wall, and Monica’s kitchen with the foosball table in Chandler and Joe’s area – it all really does take you down the F.R.I.E.N.D.S. memory lane. We didn’t try the food as it was not Halal, but we were no less impressed by the thematic menu, featuring character-centric names of dishes – Ross & Rachel’s Break Up Pizza, Monica’s Stinky Brussels Sprouts, Phoebe’s I Can’t Eat Steak, Chandler’s Righteous Mac‘n’Cheese – the menu card is an absolute pleasure to go through! 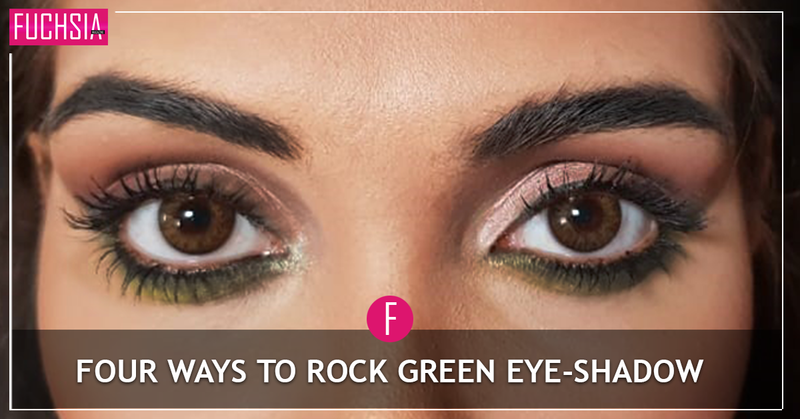 It makes you smile; it is the perfect conversation-starter. Jit Min’s claim of “a lot of thought, effort and late nights have gone into creating this menu” definitely shows. One can find vegetarian and seafood options along with dessert and a tea-time menu. I would really like to try “the Really Serious Break Ice-Cream” and “I Never Lie Cookies”. We cannot vouch for the food, though reviews don’t point to the food as a strong point of the café. Some love it, some hate it. Price-wise, we do find it a little on the high-side. The menu has a lot to offer! What is intriguing is that the coffee comes in 6 different blends, corresponding to the characters. It is imported from all over the world and roasted here in Singapore. Customers have a choice of Chocolate, Matcha or Soy Milk. The 6 blends have been created based on the level of roast, body and acidity – Ross is medium-roasted while Joey is full-Italian-roasted. So if you want something light, like I did, you can go for Rachel Green, light roasted, ideal as a Latte. The big, comfy mugs of generous servings definitely make you feel like you are in New York. A cup of coffee with Joey’s Peanut Butter Fingers, or a slice of Mrs. Bravemen’s Cheesecake should definitely be worth trying! According to Jit Min, “As long as you are a fan, come down and enjoy the experience. Even if you take out the F.R.I.E.N.D.S angle, I have confidence in our food and our coffee; we went very deep into every single area. 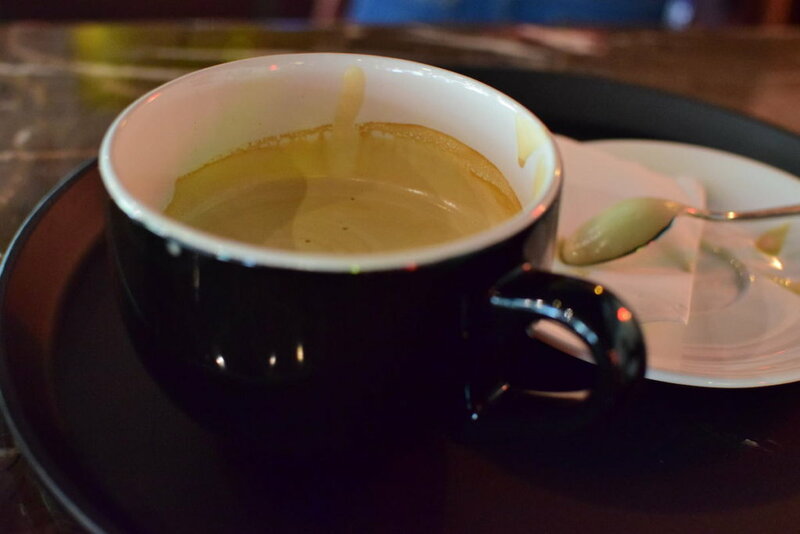 There is no cafe in Singapore, for that matter in the whole of this region, which serves 6 different blends. It’s a very big challenge – the coffee machine that we have gotten is called Black Eagle. It’s the official World Barista Championship Espresso Machine”. 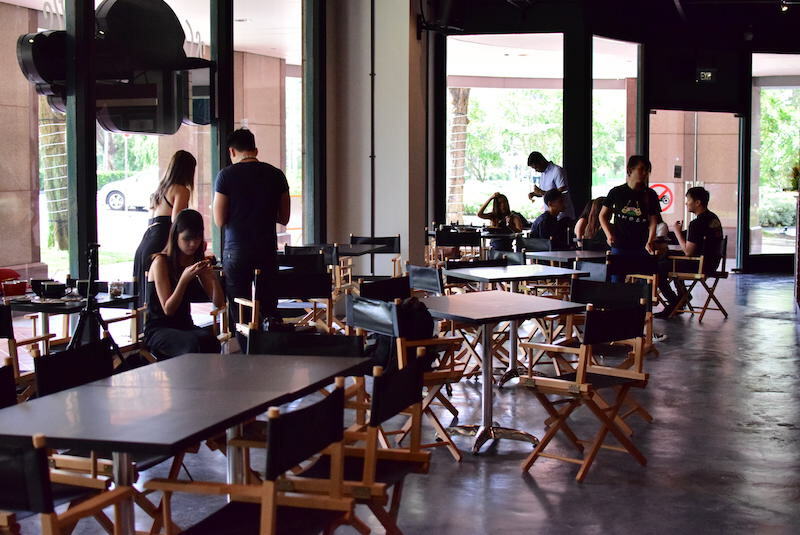 I have to say, getting to the café is a bit of a hassle; located at the newly-opened Central Mall near Clarke Quay and River Valley Road, Central Perk Singapore isn’t in the regular shopping or dining areas. Do note, it is not located in CENTRAL mall at Clarke Quay MRT station. So, one has to proactively seek out this F.R.I.E.N.D.S experience. When chilling out is on your menu! As you can see, even though I wasn’t able to have the food, I definitely rate Central Perk Singapore as a place to go to for a chill-out with friends and family over a huge and hot mug of coffee. The show that brought us smiles, tears and was a part of our daily lives for so many years has a set-up right here in Singapore. Jit Min has big plans to further this experience with events like the Smelliest Cat Award, where he plans to rent the largest alley in Singapore and fill it with cats! 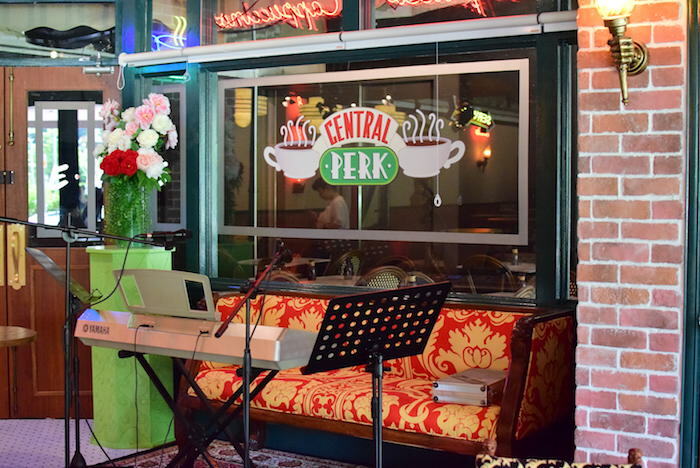 Who knows, maybe you might one day meet the stars themselves at Central Perk Singapore. For now, FUCHSIA highly recommends that you head on down to Magazine Road, choose your favourite-character-coffee blend and sip away to enjoy the unique F.R.I.E.N.D.S experience. For more information visit their Facebook page. 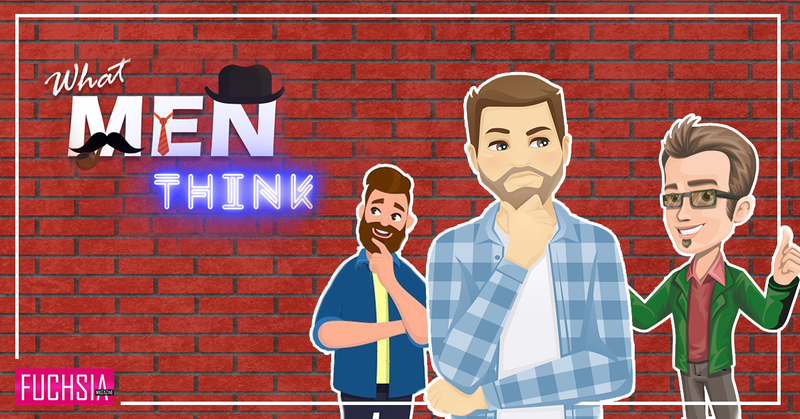 https://www.facebook.com/centralperksingapore/.